Bishop’s Stortford Sinfonia is delighted to announce it has bagged £2000 from Tesco’s Bags of Help community grant scheme. Millions of shoppers have voted in Tesco stores up and down the country and it can now be revealed Bishop’s Storford Sinfonia has been awarded £2000. 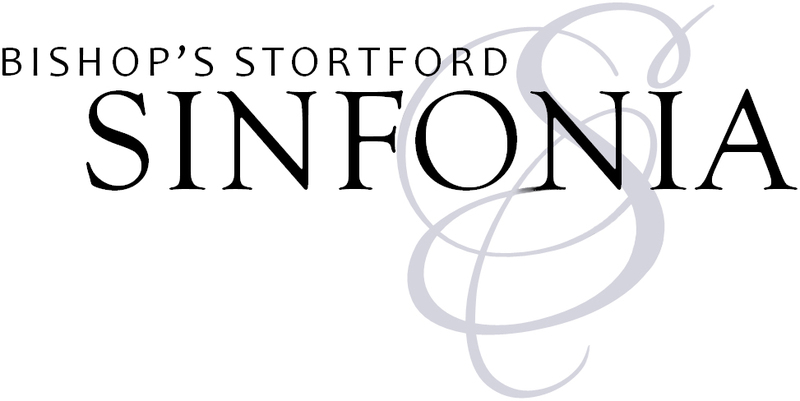 This funding will be vital in supporting the orchestra’s final two concerts this season, including appearances by guest conductor Jonathan Mann, violinist Charlie Lovell-Jones and harpist Ruth Bennett, and bringing together the finest musicians in the area to provide the people of Bishop’s Stortford with live music of a standard rarely seen outside London. Voting ran in stores throughout November and December with customers choosing which local project they would like to get the top award using a token given to them at the checkout. Our Summer School 2017 is now over. It’s been a real privilege to work with this wonderful group of young musicians, and we had a lot of fun getting to know eachother and making music together. They should all be very proud of what they achieved. It was quite extraordinary to see how much progress was made in such a short space of time! We learned not only to play some challenging music, but to work together as a team, listening and responding to eachother, and working with Emma Oliver-Trend, our conductor and course director. The flautists received specialised ensemble training from principal flute and artistic director of BSS, Simon Gilliver, and even got the opportunity to give a world premiere performace of Simon’s latest flute trio! The strings were tutored by principal bass and managing assistant of the orchestra, Holly Playle, who gave them an insight into the special tricks and techniques used by the string players of the orchestra to get the most out of their instruments and to work as a team. Multi-talented BSS outreach co-ordinator and violinist, and also clarnettist and conductor, Emma Oliver-Trend worked closely with the other winds, teaching them how to integrate with the ensemble and to master and project their solo lines. She also directed the full orchestra, using tailor-made exercises and games to train ensemble skills and giving us a deeper understanding of the music we played, how it worked and how to make it sound great! Everyone was able to participate in conducting classes where they got the chance to have a go at conducting the group and to wield the power of the baton! We learned how the conductor shows the orchestra exactly what to do, and got to practise responding to our peers’ direction too. There were also daily lunchtime recitals, where each musician got the opportunity to perform a solo piece of their choice to their fellow players. We were treated to a variety of fantastic music, with piano accompaniments and duo parts provided by the BSS team, and some even performed on instruments other than the ones they were playing in the orchestra! The course culminated in an impressive concert performance for our families and some of the Bishop’s Stortford Sinfonia team, who enjoyed it so much they demanded an encore! This year’s participants are already looking forward to next year, and we are looking forward to growing this project in the future, so watch this space for information on next year’s Summer School! We couldn’t be more thrilled to announce the appointment of the sensational Rebecca Miller as our principal conductor! It was clear from the first downbeat that Rebecca had an immediate rapport with the orchestra. Her vividly imaginitive, sensitive and spontaneous approach to music making have inspired both the orchestra and our audiences in our first two concerts together, and so, by popular demand, we are delighed to announce Rebecca’s appointment as our new principal conductor! We are very much looking forward to a long and fruitful partnership and are very excited to see what new directions Rebecca will take us in. One thing we are certain of is that there will be many more electrifying and stirring performances along the way! Bishop’s Stortford Sinfonia Has Arrived! 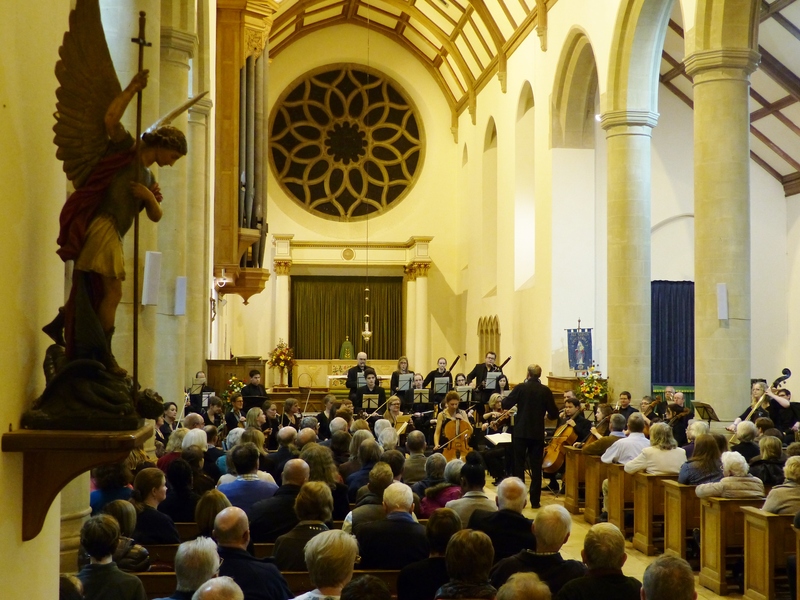 We are pleased to report that our launch concert on Saturday 10th October was a huge success! We were thrilled to be able to play to a packed All Saints’ Church and are grateful to the audience for their support and enthusiastic reception. Although preparations have been taking place for many months it wasn’t until the evening of Friday 9th October that the orchestra got together for the first time to rehearse and we were finally able to hear what Bishop’s Stortford Sinfonia actually sounded like! We knew that we had gathered together many wonderful musicians so it was very exciting when it all came together under the assured baton and vibrant imagination of conductor Patrick Bailey, with whom we felt an immediate rapport. It was an honour and a joy, too, to work with our cello soloist for the evening, the sensational Rachel Sanders-Hewett, who brought Dvorak’s much-loved cello concerto to life with us. It’s been great to hear from members of the audience through our Facebook page and through the website, as well as from those who spoke to us on the night, that the concert was much enjoyed. And it wasn’t just the audience who had a great time as many members of the orchestra have commented on the wonderful atmosphere within the ensemble and the pleasure of working with such a fine group of musicians. We are hugely grateful to everyone who helped to make the whole event a success and to everyone who came to the concert and welcomed us onto the town’s music scene with such warmth and gusto. We are very much looking forward to the next concert and will keep you posted as things develop!